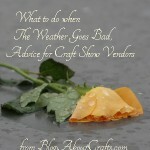 In the Selling Arts and Crafts section of Blog About Crafts, I share ideas about marketing handmade items. Through conversations with professional crafters and artists, market research and my own writing and marketing background, I provide crafters with a place to discuss selling arts and crafts and hopefully increase their online and in-person sales. One of the great things about making and selling handmade items is how everyone seems to be willing to share ideas and help each other earn more from their hard work. I hope folks will find my ideas on effectively selling arts and crafts useful and share some of their own. 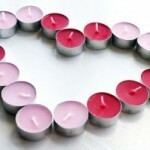 Below are the latest Selling Crafts articles on Blog About Crafts. You’re a vendor at a craft fair. The weather has gone bad. Do you leave or stay? Simple question but a hard decision that could cost you more than sales. Before you start making that item that is recognizable as a much beloved Disney, DreamWorks or other well-known character, you might want to read this post. 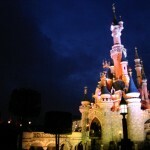 Trademark law is quite clear on the issue and you don’t want to be facing a company like Disney in a court room.